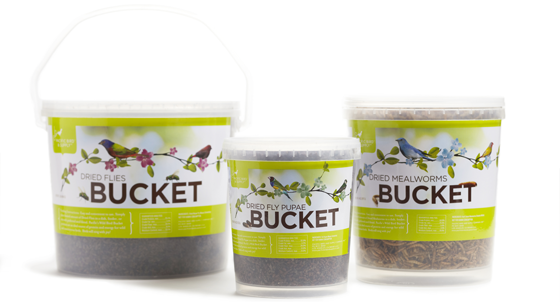 • Stackable Buckets are easy to store. • Long shelf life - products stay dry with tight, re-sealable lid. 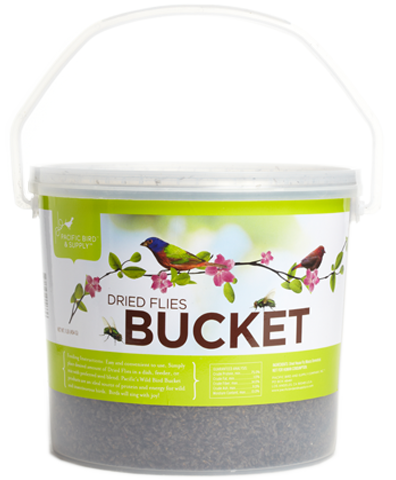 •Attracts beautiful birds to your home and garden. 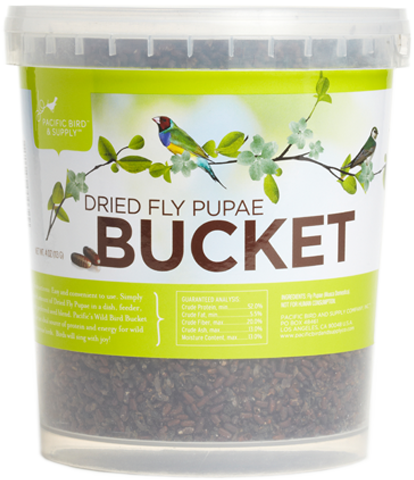 Pacific Bird's Bucket products provide an easy and convenient way to keep wild and insectivorous birds happy year round! 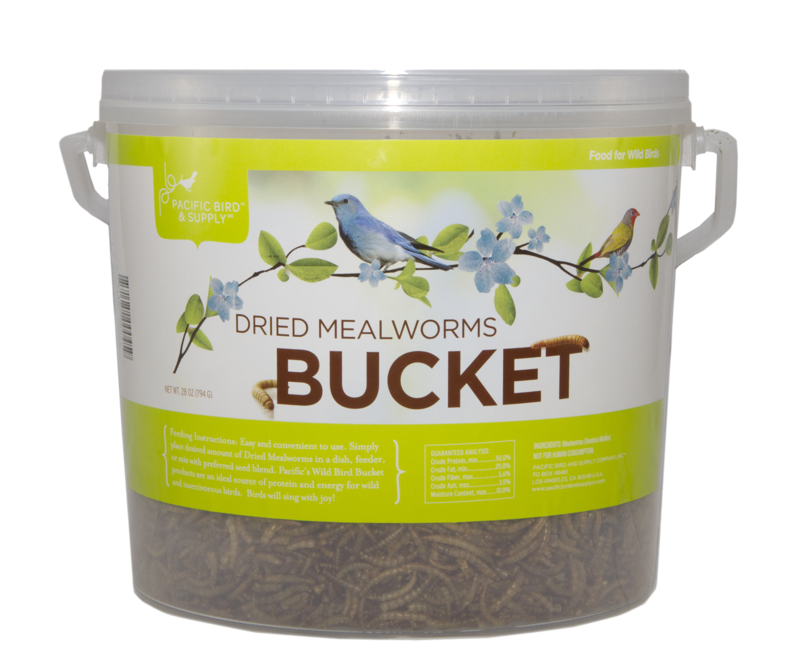 Chock full of proteins, vitamins, minerals, and amino acids, our Bucket line offers a variety of dried insects that provide essential dietary benefits for birds during all seasons. 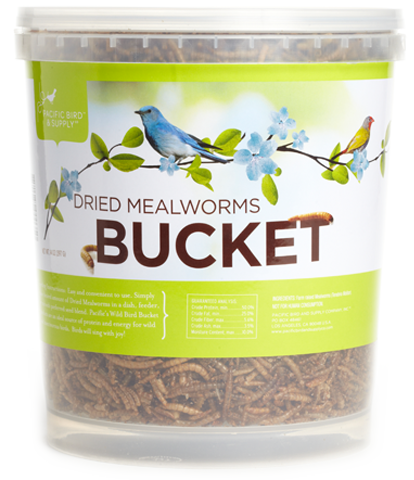 A larger alternative to our Toppings, these all-natural, nutritional products were designed to be a stand alone meal or blended with birdseed. Either way, birds will sing with joy! !